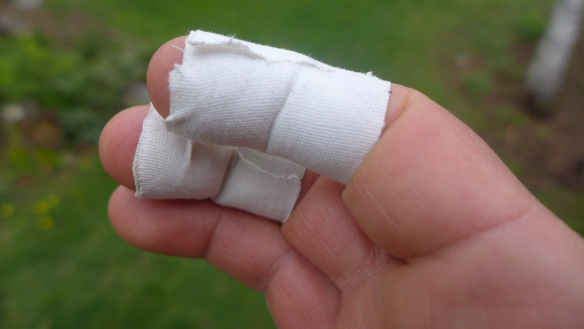 For that reason I thought I would post this observation about my own shooting and finger damage. I know it may not look much but believe me it hurts lots and I’ve found I can only shoot about 20 arrows before it becomes a serious problem. As you can see a callous has developed on the tip with the skin being very rough with it splitting and bruising developed. I’ve avoided shooting for a couple of weeks to give it more time to heal, with the photo above showing what it was like after a week. I think this was something that developed after the Lyme valley shoot (Shoot report) where most people got soaked. This resulted in my hand got very wet and the skin cracking on the ring finger. The dye from my tab leached into the skin and it looked more like an open wound then cracked skin. The effect of this on my draw is in an uneven draw and bruising on the ring finger and pain in the fingertip on the draw up and release. I’ve tried applying tape to the finger tip for protection but this doesn’t help. I have found that Savlon intensive healing skin cream has helped the healing process too and is now an addition to my kit. I think part of the problem is I’ve developed bad form in my draw which results in an uneven distribution of pressure across the three fingers. I think I’m going to have to work on my consistency of draw to ensure even draw weight on all fingers. In addition, rather than going for a deep anchor into the first joint of the finger I’ve overtime let it slip to the finger tips. I’m also going to spend some time looking at my tab and wear patterns. I might look at adding another layer to it. 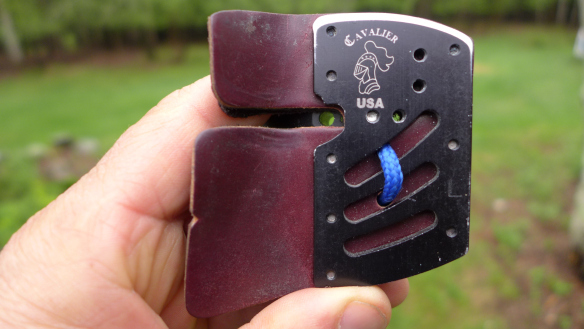 Very good posting from a very useful and informative site on the issue some archers can experience of numb fingers and methods to avoid damaging yourself. 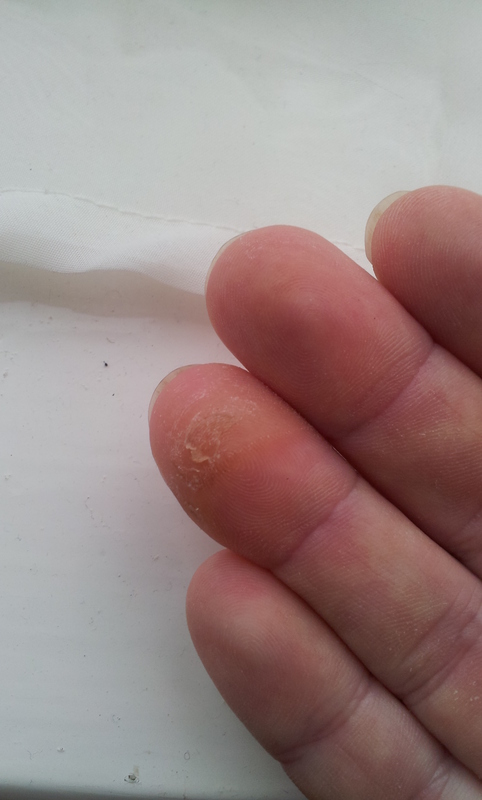 I first experienced numbness and tingling in my fingers while shooting barebow with a thin Damascus glove. The numbness didn’t go away, so after dealing with non-feeling fingers for a while I tried a bit of medical tape around the affected fingers in addition to the glove. The tape worked but was a chore because I had to apply it every time I picked up a bow. I also had to be precise with how much tape I put on, as varying amounts affected my shots differently. Suffice it to say that it didn’t take me long to make my way back to the land of tabs, and leave the Damascus glove behind. This excellent little article was posted in Archery 360, click on the picture below to go to Archery 360 to check it out.